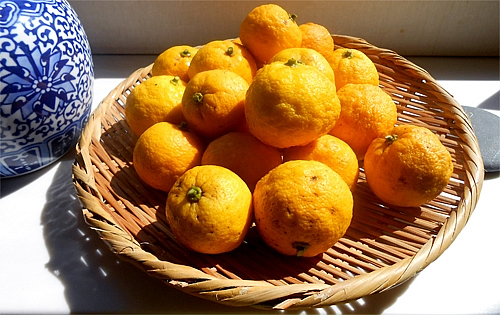 Yuzu finds many uses in the Japanese culinary universe. It is simultaneously fruity and tart. This oil is produced on the southern island of Shikoku. Research performed in the US in early 2000 confirmed the anit-tumor properties of the Monoterpenes in the essential oil of Yuzu (Elson and Peffley). Sadly last years harvest was very small and we could not find any sizeable quantity and what we found was much more expensive than last years and forced us to raise the price. Due to our small stock we can only offer 5 ml bottles. 2 bottles maximum per customer.